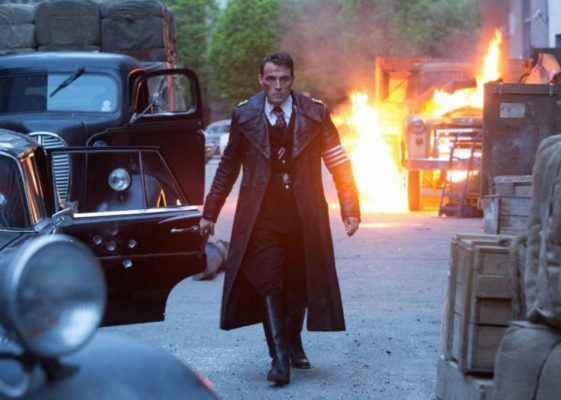 The Man in the High Castle is coming back with new characters. Deadline reports Laura Mennell and Eijiro Ozaki have joined season three of the Amazon TV show. Amazon has not yet announced a premiere date for season three of The Man in the High Castle. What do you think? Do you watch The Man in the High Castle? Are you excited for season three? Anxious to see season 3. Has been fabulous so far. Hope they don’t screw it all up. And whats with taking so long to release season three? Had the pleasure to know Luke Kleintank back in his Maryland days. Glad he’s doing well. I love this series! Can’t wait for season 3 to drop. Inspired me to read the book and I must say that I like the tv series even better. Love this series. Can not wait to see the third installment. I love it .. one of the best.. please keep the series going . Can’t wait. Best show ever. So well done and excellent cast. YES! My husband and I love that show! The character and story lines are fantastic! We can hardly wait for Season 3! Just let me know when the next season starts. I’m there ready to watch. One of the best shows I’ve ever seen. So unique and well done. Hell yeah I am. Fantastic show!